Seventh Generation Community Members here's a new freebie campaign for you! Sign into your account to see if you qualify to try out Seventh Generation Free & Clear Baby Wipes! To get this offer, click on the link below, then click on the Twitter icon (if you connected your account that way, otherwise login normally), Scroll through and see if you have an offer to qualify to receive a product to try. Complete the short survey to see if you are selected to try a product from Seventh Generation. The survey asked how old your baby is, and what wipes you currently use. If you qualify you will be notified at the end of the survey. Then return to the Dashboard to accept the offer. 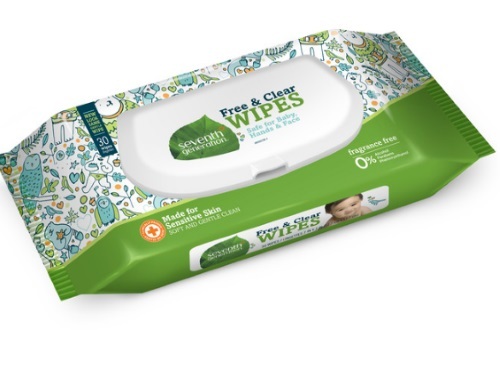 The Free & Clear Baby Wipes mission Specially designed to care for baby and planet, Seventh Generation Free & Clear Wipes deliver the clean you need with the gentle care your baby's skin deserves. - 1 trial 2-pack of Free & Clear Baby Wipes for you to try now and 1 more to stash in your diaper bag for those emergency changes! - 1 additional trial 2-pack of Free & Clear Baby Wipes to pass along to friends so they can experience the product too! Please allow approximately 4 weeks for your package to arrive.